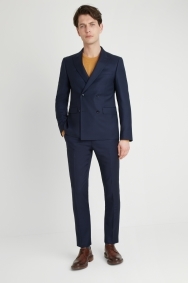 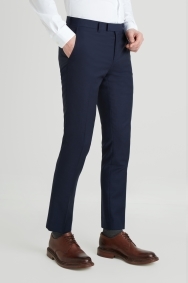 This double-breasted navy suit offers a simple way to achieve a standout look. 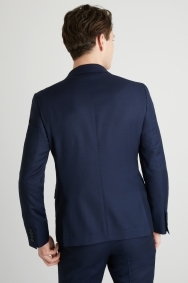 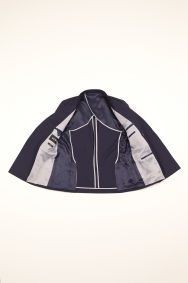 A textured open weave adds interest and ensures breathability, helped by the jacket’s half lining. 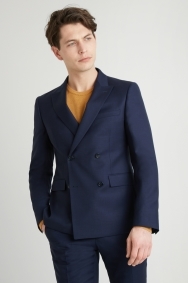 Its peak lapels build on the sharpness, while the 100% wool cloth adds to the premium look and feel. 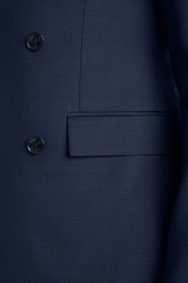 Choose a slim fit white shirt with double cuffs to mirror this suit’s modern outline. 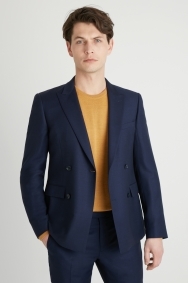 Alternatively, relax your appearance by going for a colourful polo shirt or crew neck jumper.